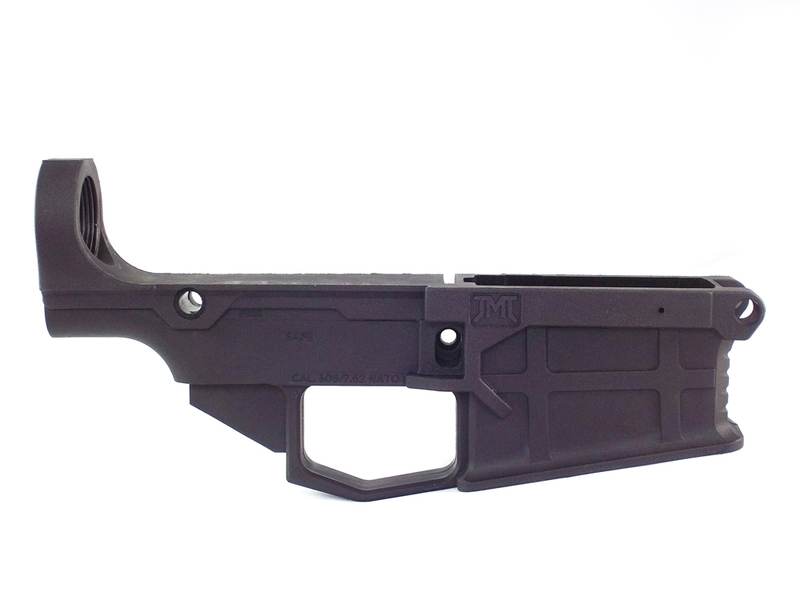 This is the all new James Madison Tactical .308 80% lower receiver. 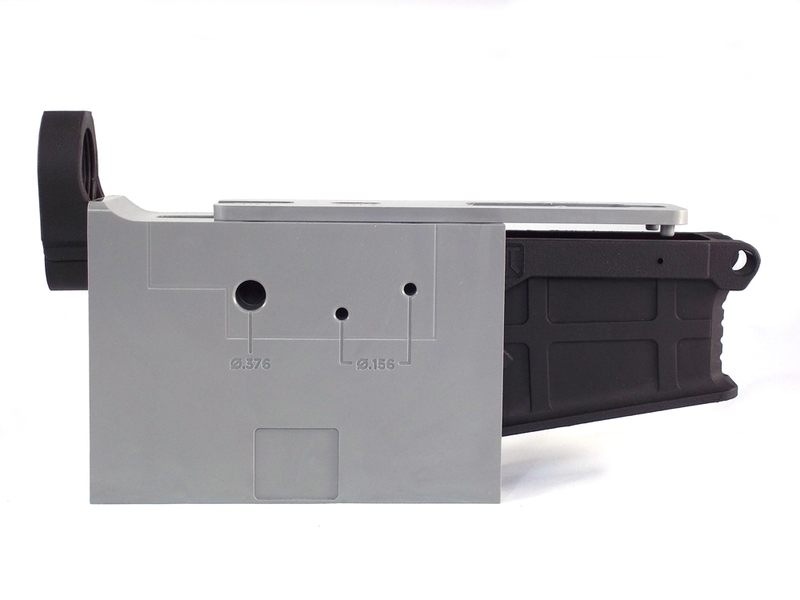 JMT is constantly evolving with products to deliver the ultimate lowers in the industry. JMT has now engineered the best polymer/composite .308 on the market today unparallel by any other with the same refined cosmetics that you find in our AR-15 composite / polymer lower. We invite you to take a look and compare the new JMT .308 to the competition. After doing so, we are completely confident you will choose JMT. The polymer 80% lower receiver for your .308 platform is engineered and manufactured by James Madison Tactical (JMT) in the USA. This is not your average polymer 80 lower, in fact, The JMT .308 80% lower is fully engineered using current finite element structural analysis for reliable, long-term high performance. After much research in polymer .308 lowers, JMT created its own formula of hybrid polymers and fibers with additional reinforcements in high stress areas to bring you the best .308 lower on the market today. All of the JMT polymer 80 lowers are engineered to Mil Spec tolerances and because it is fashioned from extremely durable fiber polymer materials there are no concerns about corrosion as you may find in aluminum .308 lowers. JMT uses only the best high quality hybrid polymer/composite materials, advanced engineering, precision manufacturing and stringent quality controls. This way you can trust it not only in the harshest field environments but for personal protection as well. The Polymer 80 .308 80% lower is designed specifically to Mil Spec tolerances for a high level of interchangeability with other Mil Spec .308 parts and accessories on the market today. This is achieved through current technology and computer aided manufacturing processes combined with exacting quality control procedures. How you decide to defend and protect yourself and your family is a personal matter. No one wishes to experience a personal breach of your safety or a home invasion but it does happen. The mission at JMT is to give you the assurance in a product you can trust. The operations left to be completed to complete your JMT .308 80% lower are as follows: fire control group, trigger pin, hammer pin, trigger slot and the safety selector hole. This is a not an FFL item. This is not a complete receiver and still requires machining to be done.